Dragon checks inspire your imagination. Take dragons out of mythology and what do you have left? Not much. Venture into the real of gothic personal checks and you have a new adventure awaiting. They have provided the fearsome antagonism in fantasy adventures since the genre was born. Wizards would be nowhere without them and fair maidens would be hard pressed to get into impossible situations if there were not a dragon looming in the offing. 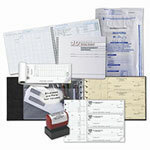 Don't forget to order fantasy checkbook covers and fantasy address labels. Knights in shining armor would find themselves out of work. The histories of both Medieval Europe and the Oriental countries would have to be rewritten. and Chinese New Year parades would become extinct. This collection of personal checks moves beyond the myth to include more provable creatures such as dragons and komodo dragons, common items in today's list of creatures whose names were inspired by their resemblances to the mythical monsters and gothic architecture.